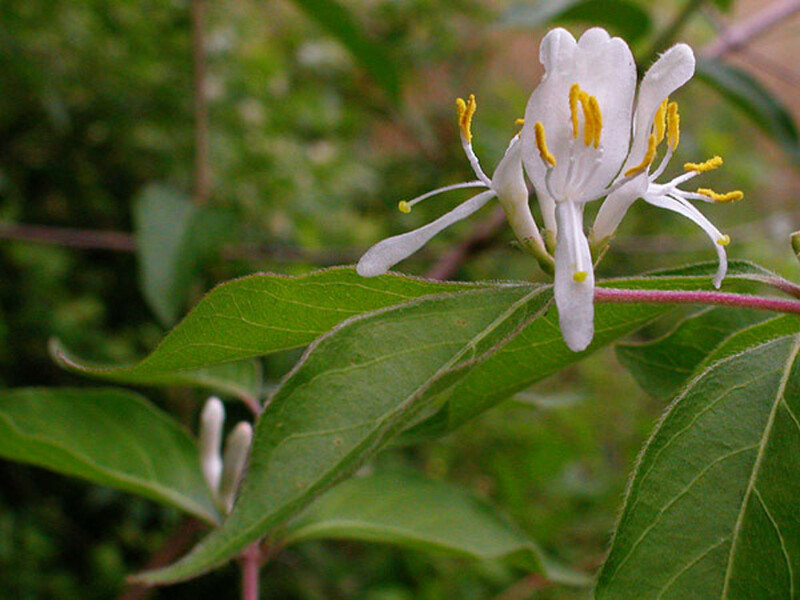 Amur honeysuckle is an invasive honeysuckle first introduced from China and Korea. 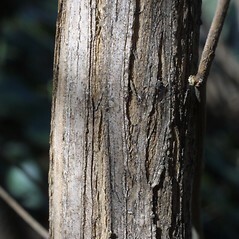 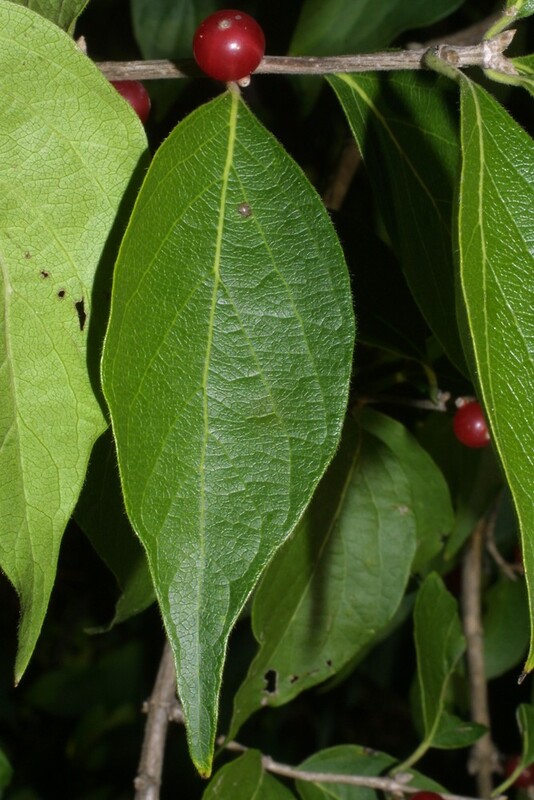 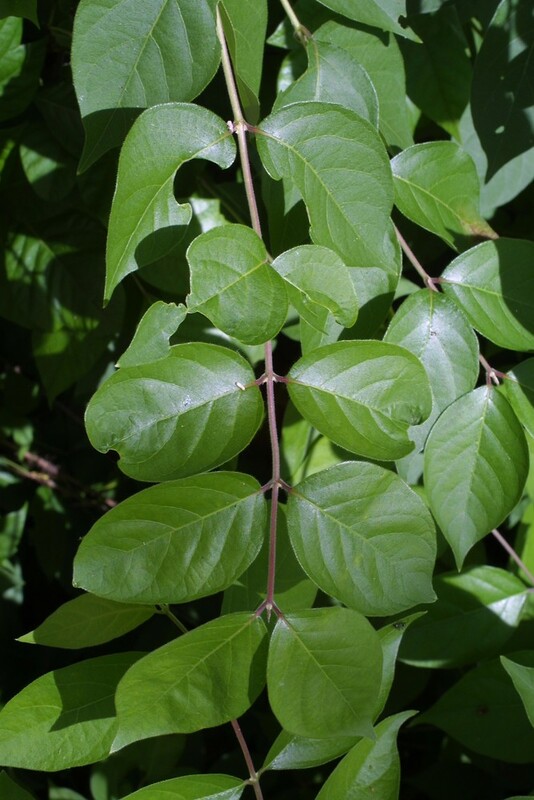 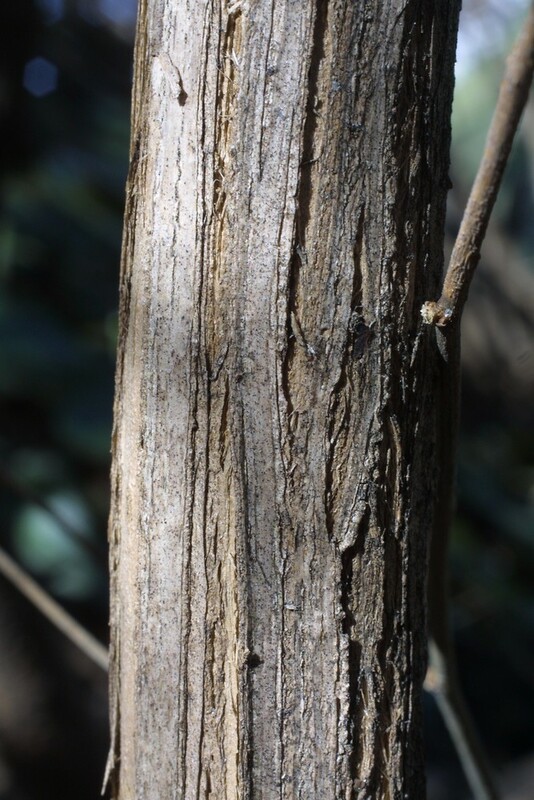 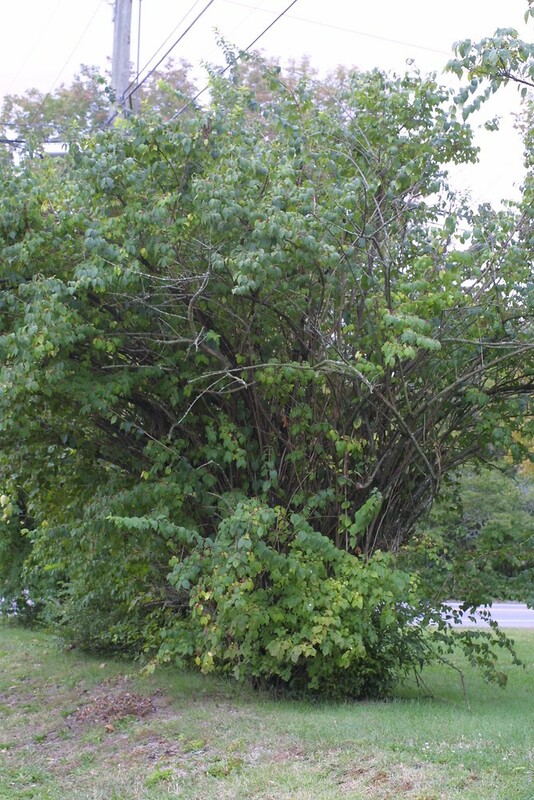 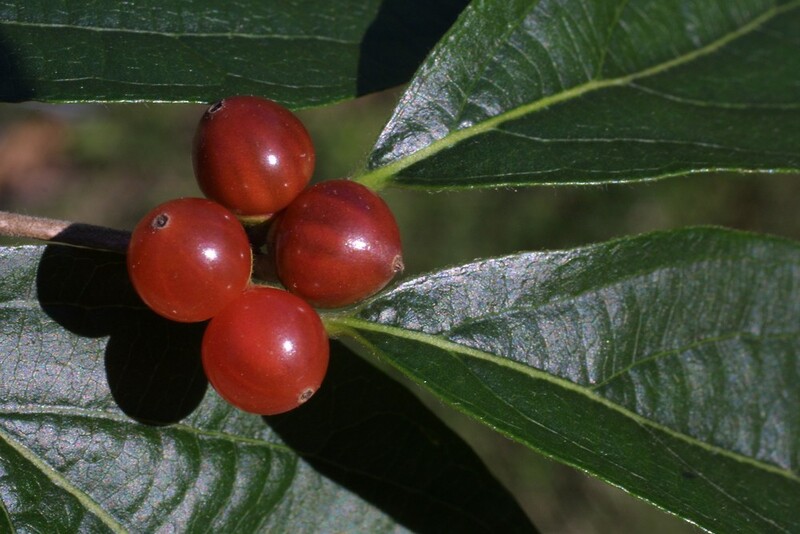 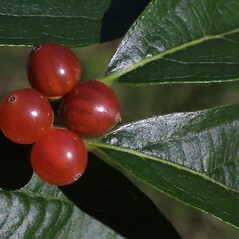 This leggy, deciduous shrub grows up to 15 feet (5 m) tall, with ascending and arching branches. 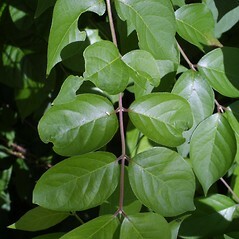 The opposite leaves a 2-3 inches (5-8 cm) long and taper into a narrow tip. 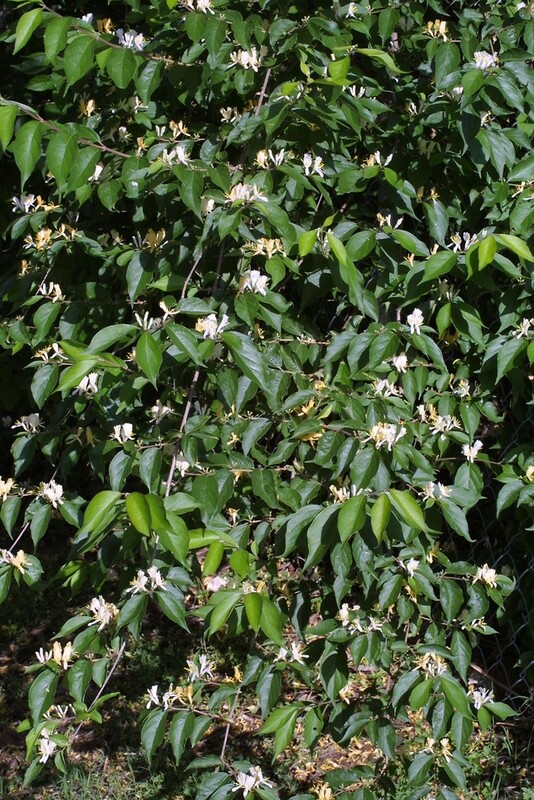 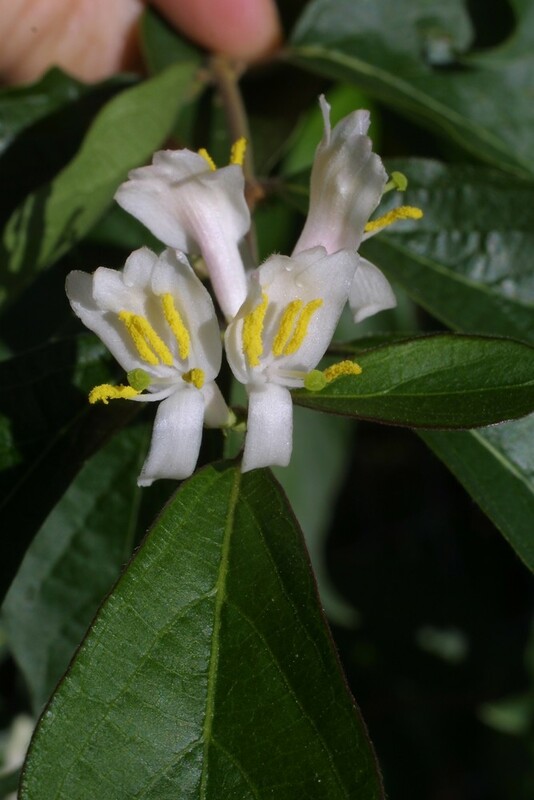 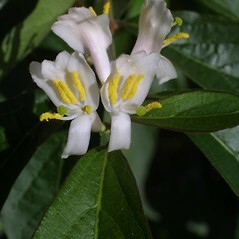 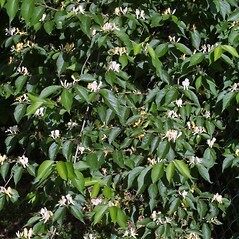 Fragrant white flowers appear in late May, becoming yellow as they age and producing red berries in the fall. 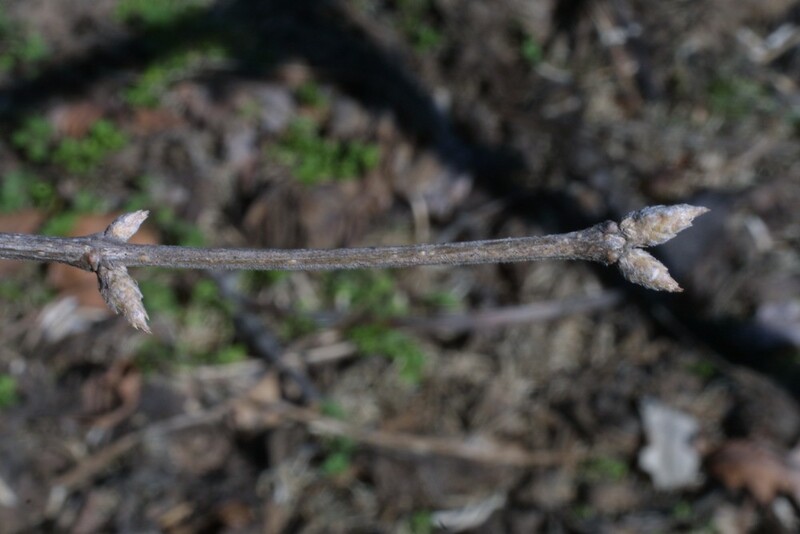 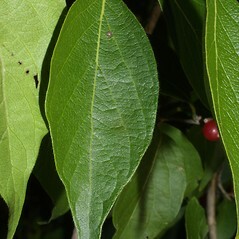 peduncles longer than 5 mm and leaf blades obtuse to acute at the apex (vs. L. maackii, with peduncles shorter than 5 mm and leaf blades abruptly tapering to an acuminate apex). 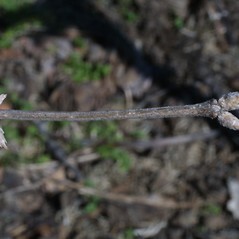 peduncles 5–15 mm long and leaf blades obtuse to acute at the apex (vs. L. maackii, with peduncles shorter than 5 mm and leaf blades abruptly tapering to an acuminate apex). 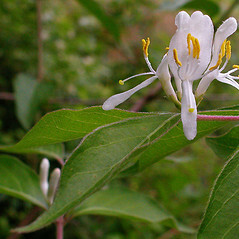 Amur honeysuckle. 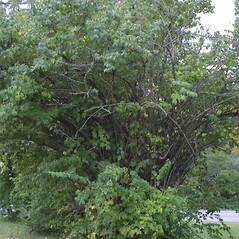 MA, VT. Forest borders, roadsides, areas of habitation.